I thought I'd share some memories about Kodak. The first images that sparked my interest in photography seemed always to have been made using Tri-x black and white film. I don't know how I know, I just do. I guess I must have read about photographers like Eamon McCabe, Don McCullin and various others who used Tri x, in magazines like 'Amateur Photographer'. I loved the beautiful grain of Tri-X and for many years I used it all the time. I processed it myself in the basement of our house and, pushed it to about 1200 ASA in Ilfosol II. As you can probably tell in the picture below, I almost always had a yellow or this case, orange filter screwed to the front of an old F mount non AI 28mm Nikon lens that my uncle John Hart gave me. 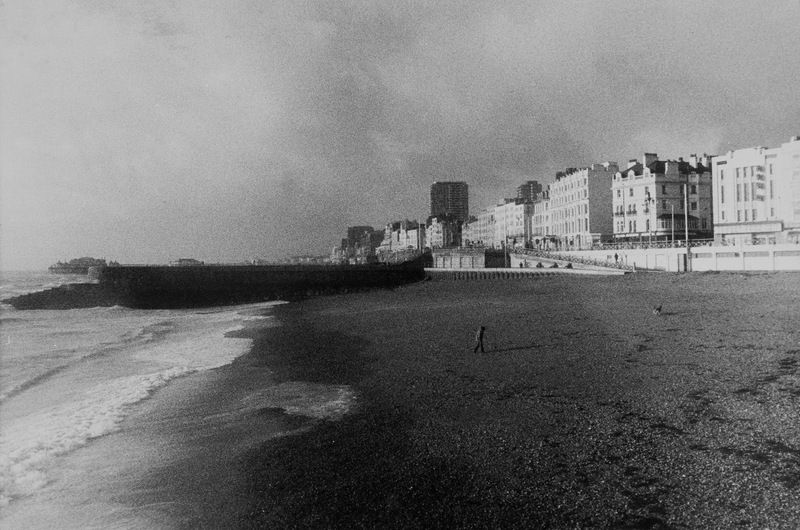 This image was shot on Brighton Beach, new years day 1983 with a Nikon FM. It was the first image I had ever enlarged to 20 x 16 inches. It was also the first image I had ever taken that I really loved and I knew that I wanted to do this for ever. When I started my professional career shooting 5x4 and 10 x8 transparency films with a 10x8 Linhoff, the film I used was Ektachrome 64 (6117 for daylight and 6118 for Tungsten). Same for 120 formats. 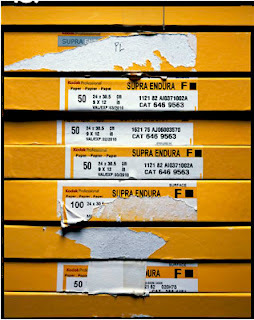 How I miss those yellow boxes stacked in the dark room. I'm sure an investor is out there waiting to further harvest the billions in potential income from the thousands of patents that Kodak own but much more importantly, to continue to make the films and chemicals that have had such a huge part in the history of photography. 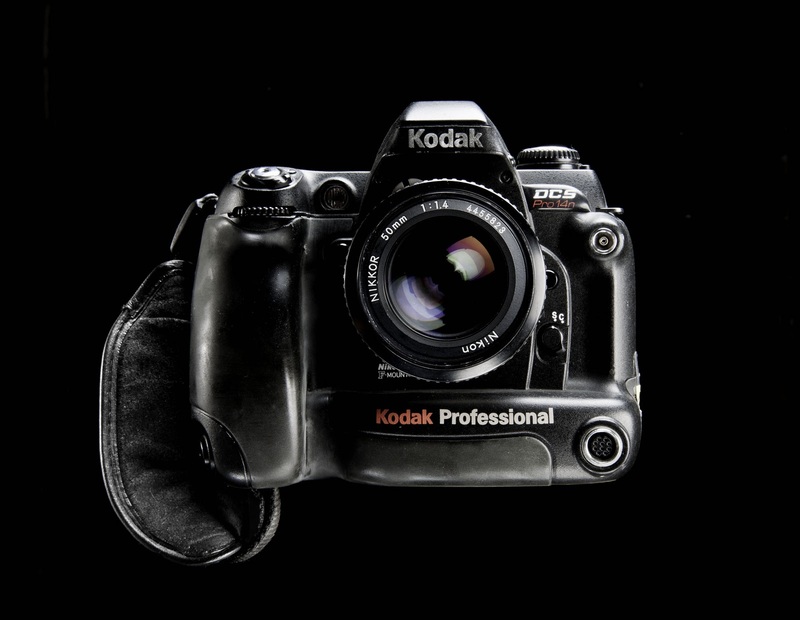 There are still many photographers who shoot film and will continue to do so but alas the large portion of Kodak's market was always the consumer rather than the professional photographer. Most people now prefer the convenience of digital despite the fact that most of our images are confined forever to hard drive discs on computers or phones that wont last as long as any photograph album. Please everyone back up to prints, DVDs or cloud. On a final note, one of the best digital cameras I ever had for colour rendition and skin tone was the first one I ever had. The Kodak 14N (below). It's Serial number P14N0-1979 - (I started taking photographs in 1979). 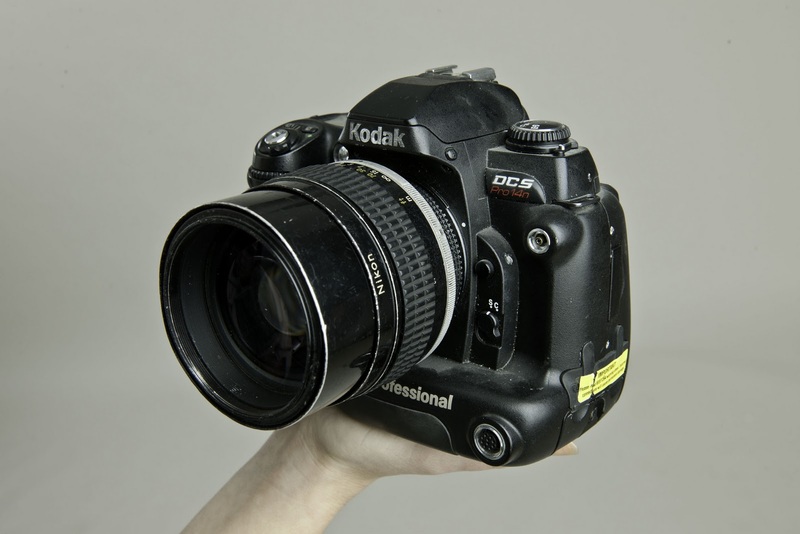 Kodak didn't really make any headway into digital cameras for the consumer otherwise they wouldn't be bankrupt, they were however one of the earliest developers (sorry) of the digital imaging and eventually created an amazing sensor. I sent the first 15 images from the 14N to an art director in McCann Erickson for a Coca Cola campaign that I was working on. He thought I'd had 5x4 transparencies scanned on a drum scanner. I did that too of course but the gap seemed to be closing. Kodak Digital had come of age, well in my studio anyway. My old Kodak 14N from May 2003. One of the first in Ireland. Ohh the memories. I had a 14n it was ahead of its time as long as you did not use it at 400iso. That's true, thats why we used 3000k packs all the time!